Coffee Morning raises £255 For Macmillan Cancer Support! 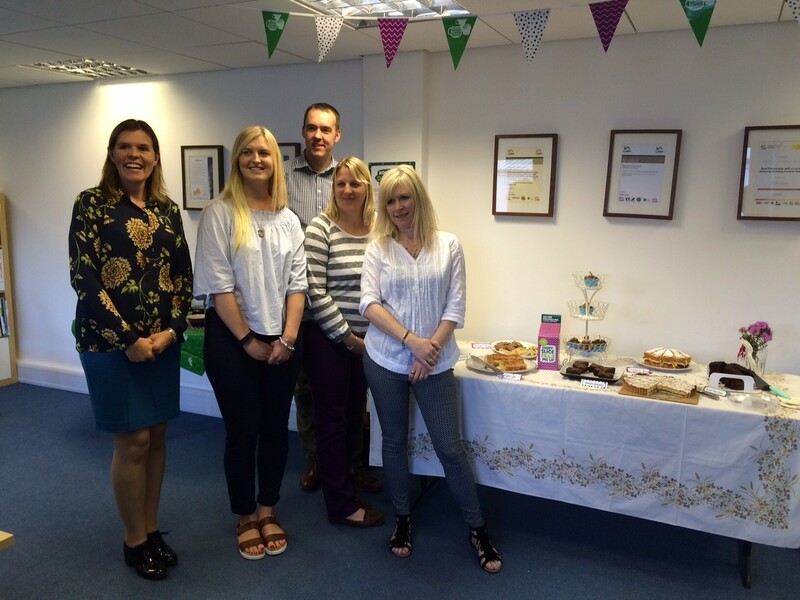 We held a Coffee Morning on Friday 30th September in aid of Macmillan Cancer Support. Macmillan encourage as many people as possible to support their ‘World’s Biggest Coffee Morning’; this is the second year that PCMS Design has taken part. There were plenty of homemade cakes on offer during the mid-morning coffee break. Our guests included clients past and present, and local businesses based in and around Rectory House in Haddenham. We would like to thank the staff of John Clegg & Co, Manan, Milkshake Dental, Cedar Technologies, Rectory Homes, NT Cadcam, Wearwell and Cosine for stopping by and helping us to raise the amazing total figure of £255. Aylesbury Vale District Council has this week granted planning permission for one of our Buckinghamshire educational clients. 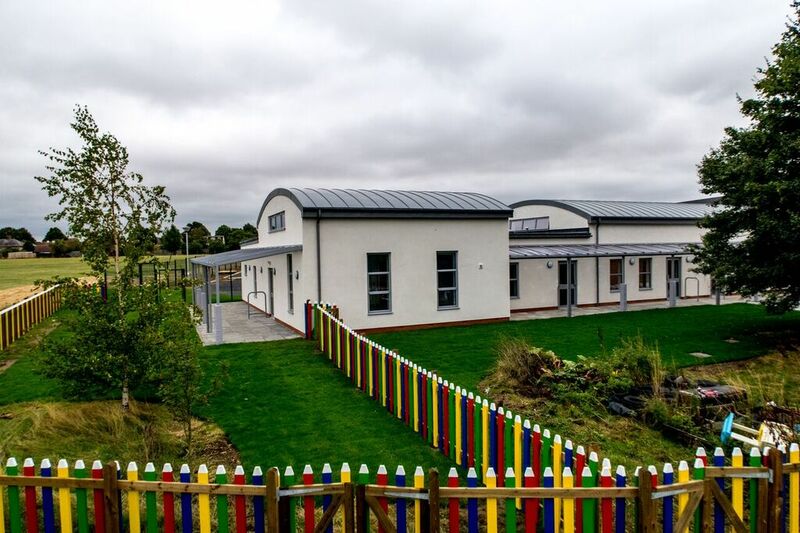 We applied on behalf of Oakley Primary School for consent to create a more presentable and secure main entrance for staff, pupils and visitors, improve the internal layout of the school office, and construct a new head teacher’s room. 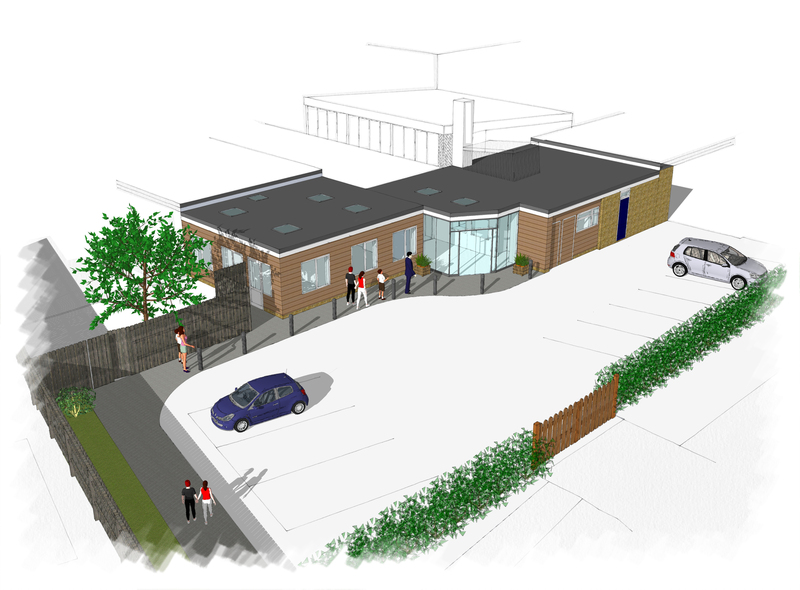 Part of the scheme receiving consent at the same time includes external improvements to create a new footpath entrance for children and parents, and also to extend the staff car park. PCMS Design hopes to move swiftly on to the technical specification, ahead of procuring suitable building firms on behalf of the school to carry out the construction works. 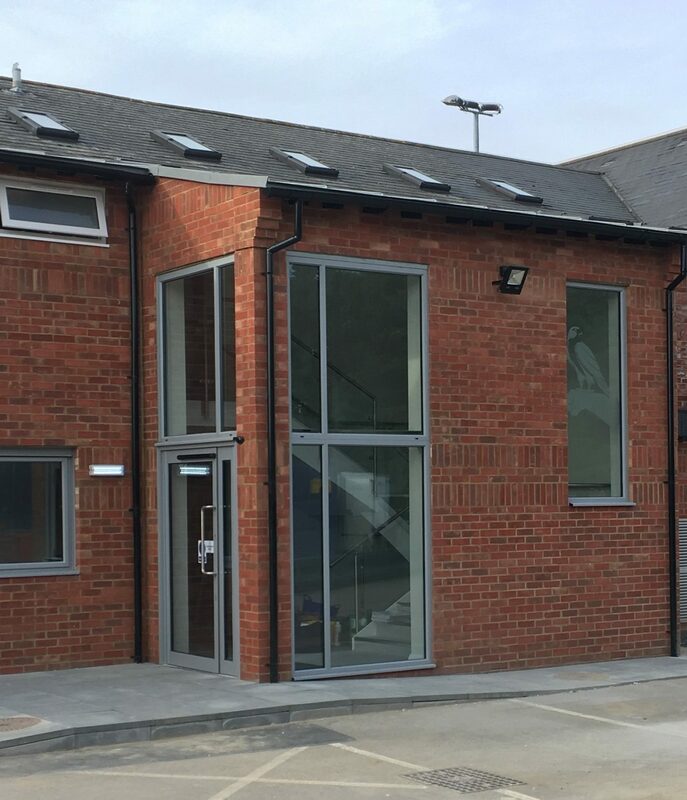 This entry was posted in Buckinghamshire, car park, construction, design, development, extension, planning permission, School Construction, school extension, School Refurbishment on September 30, 2016 by admin. PCMS Design is a project management and architectural design firm working on a varied mix of public sector and residential projects. A new vacancy has arisen within our team for an experienced Architectural Technology Professional. 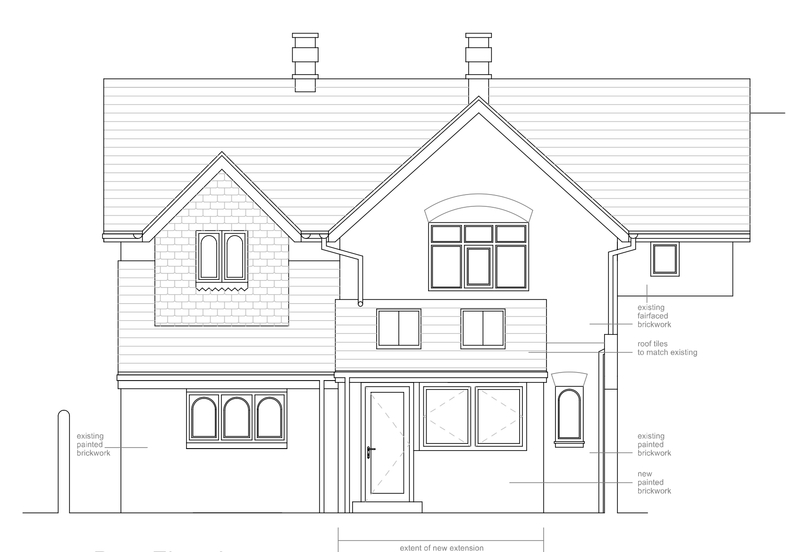 We are very pleased that Aylesbury Vale District Council has granted planning permission for a rear extension to a dwelling in a Buckinghamshire village particularly as the consent was received early, 10 days before the determination deadline. Our client has an aspiration to improve the staircase in his home because it has a difficult and narrow turn making access to the first floor problematic. Unfortunately there is little scope to change the staircase without building outwards slightly, due to the orientation of the stairs and lack of internal space. Our solution was to design a modest rear extension with internal structural alterations in order to provide a staircase with a single run. The opportunity will be taken to improve the appearance of the rear elevation at the same time. Prior to construction taking place, we are assisting our client to obtain consent from Thames Water for a Minor Diversion agreement so they can re-route a drain in the back garden. Work now begins on the construction drawings and specification of works, so that builders can quote for the project. 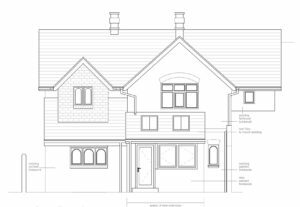 This entry was posted in Buckinghamshire, design, extension, House Extension, planning consent, planning permission on September 22, 2016 by admin. Chinnor Rugby Club Sports New Entrance! Over the summer, PCMS Design has been working on a local project for Chinnor Rugby Club, which is based in Thame, South Oxfordshire. The club has teams of all ages that play in both local and national leagues. There is a clubhouse building that acts not only as a team pavilion, but also has a popular bar and two function rooms which are hired out for events and functions. However, the managing committee had a real desire to improve the clubhouse to create a new welcoming entrance and stairway, a larger refurbished kitchen and also space for a club shop and store room. 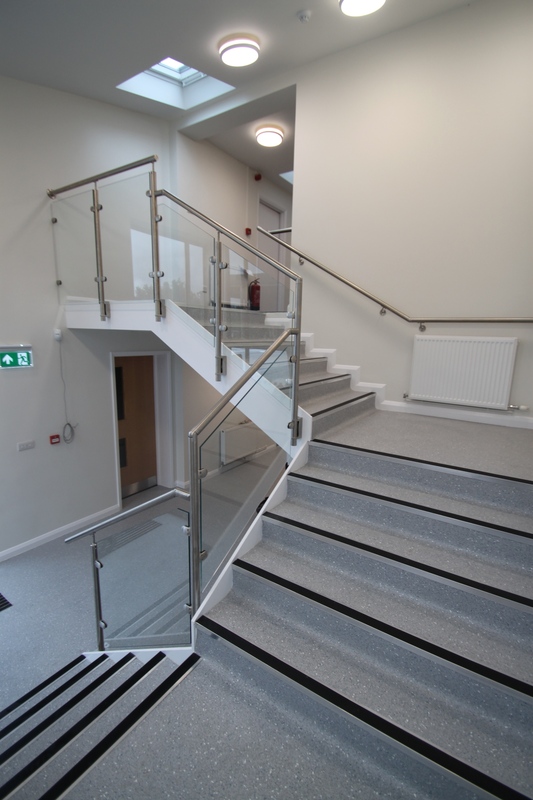 The PCMS Design solution was a two-storey front extension which incorporated a new steel and glass staircase alongside an impressive entrance with double height windows and modern glazed entrance doors. As well as taking the club through the design and planning process, we carried out the contract administration and made regular visits to site to check on the progress of the construction firm, Classic Builders (Watlington) Ltd.
Ready just in time for the 2016 Autumn season, the clubhouse is now eminently presentable for visitors and club members and the new kitchen has already enabled the catering offer to be expanded. This entry was posted in Chinnor Rugby Football Club, construction, design, development, extension, pavilion, planning permission, sports club on September 21, 2016 by admin. Our project to deliver a new 3-classroom block at Biggleswade Academy in Bedfordshire has completed on time and within budget, opening last week for the start of the new school year. 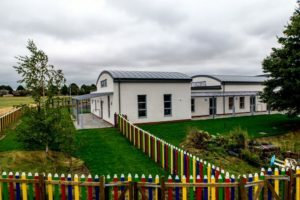 Everyone involved has received praise for the transformation of this part of the school site, which formally housed a disused outdoor swimming pool and a modular unit. We have seen this project through from inception to completion; our involvement began at feasibility stage, when we produced concept designs for a free-standing building, and progressed through planning, tendering of a construction firm and contract administration. The principal contractor was Neville Special Projects of Luton. The new building features a zinc-covered barrel shaped roof and off-white rendered walls. The interiors are bright and colourful, with acoustic wall and ceiling panels adding visual interest whilst helping to absorb excess noise. There are specialist facilities for the children too, including a changing/shower room with floor hoist. 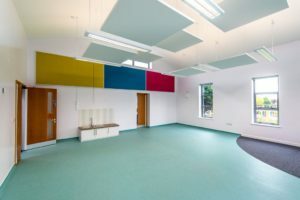 Each classroom has been provided with its own separate entrance, and outside there are play areas with Perspex canopies and a pencil fence in primary colours. This entry was posted in Biggleswade Academy, Buckinghamshire, Canopy, classroom, construction, design, development, planning permission, project management, School Construction on September 16, 2016 by admin. 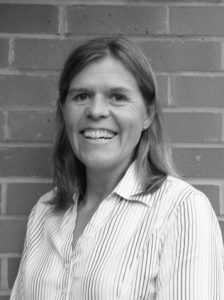 We are very pleased this month to say welcome to our new colleague Julia Bond, who joins the PCMS Design team as a Project Manager. Julia started her working life as an Engineering Apprentice, before becoming a Chartered Mechanical Engineer. Julia has also worked for many years in Quality Management and Process Improvement, across a range of industries, becoming a member of the Chartered Institute of Quality Assurance. Latterly, she has had experience of teaching CAD. Julia is now looking forward to the challenges that working in a busy architectural design and construction project management firm can bring, and developing her skills and knowledge.